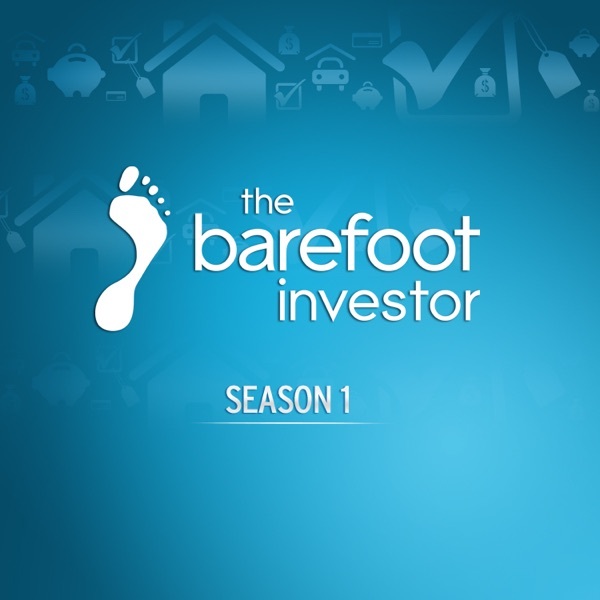 The Barefoot Investor - Season 1 (Video) | Listen Free on Castbox. Australia's favorite personal finance commentator Scott Pape joins the team at CNBC with his own 30-minute television show, "The Barefoot Investor". Visit http://barefootinvestor.cnbc.com for more information. Rusty Young tells Scott about voluntarily doing time in a Bolivian prison and how his story is now being turned into a Hollywood movie. We hear how a backpacking holiday inspired young Australian Leigh Matthews to set up a charity in Cambodia. And Rory Hunter tells us how he realized his dream of developing an exclusive resort on a beautiful island in Southeast Asia. Australian rower Darryn Purcell wants to win an Olympic gold medal, but he's facing some serious financial hurdles. Matthew Reilly describes how he overcame early rejection, to become one of Australia's best selling authors. Plus, Scott Pape helps one young Barefooter pay off her student loans and take her first step on the property ladder. Scott Pape chats to the founder of The Happiness Institute to find out if money can make you happy. We help Sydney taxi driver Dev get started in teh stock market and fast-track his retirement. Plus, we sort out the finances of one young Barefooter who's just finished school so he can focus on following his dreams. This week, the Barefoot Investor looks at how to make money out of art, comics, posters and all sorts of pop culture. Plus, we help one young barefooter get her finances in shape so she can buy her first home. Scott Pape speaks with the founder of one of Sydney's most iconic tourist attractions about his ten year climb to success. We also meet Clare, who's struggling to pay off her mortgage without a job or assistance. Plus, Scott helps ambitious young filmmaker Sam fund his dream project. Scott helps one aspiring performer step on the road to broadway. We tread the path with two young adventurers that kayaked from Australia to New Zealand. Plus, one Barefooter wants to start a new life in Oman. Scott gets the secret trading tips from one of Australia's best investment minds. We meet one barefooter that was burnt during the financial crisis, but is now thinking about getting back into the market. Plus, Darrel asks how to get school kids into investing. This week on the Barefoot Investor, Scott looks at how you can take control of your life and your finances. we meet Lincoln Hall, an Australian mountaineer that was left for dead on the world's highest mountain. Plus, aspiring actor Jarrod gets some top tips on hwo to cash in on the stock market. Australia's addiction to debt is going from bad to worse. Adriano likes fast cars and fast women, but he's not having any luck with the either of them. Plus seven times world surfing champion Layne Beachley bares all. This week on the Barefoot Investor, Scott shows that money problems don't have to lead to a broken heart. We catch up with Glenn Singleman, a doctor who saves lives for a living but risks his own life for his passion - BASEjumping. Plus, we help Kate get a plan to bring her closer to a dream move to New York.